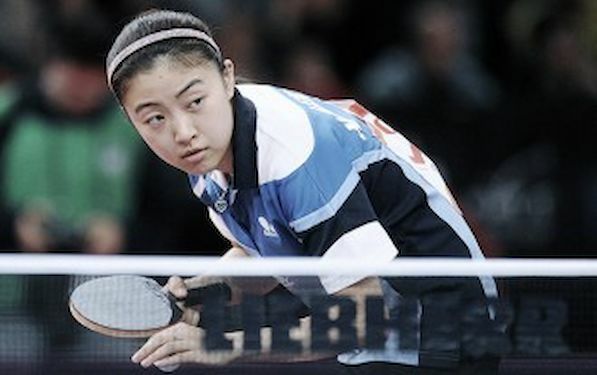 HU Melek is the last European to hold the hopes of Old Continent in the Women’s Singles Event at the LIEBHERR World Championships. Turkey’s representative reached the quarterfinal after six games duel against best ranked European player SHEN Yanfei. “Being able to reach the position among top eight players in the World is my best ever result and I will try to give my best to repeat the good game in the next match,” said HU Melek. HU Reached Round of 32 in Rotterdam two years ago and clinched the bronze medal in Ostrava in 2010 at the European Championships. LIU Jia of Austria repeated the result from Zagreb 2007, but RIU Myong Sun of Korea halted her further progress. “Simply, RI left no space for LIU. Her defensive style is very difficult for LIU. We knew that, because Korean player beat LIU year earlier at the World’s Teams Championships in Dortmund, but could not do much,” explained coach LIU Yan Jun. Tetyana BILENKO of Ukraine created great upset by booking her place in Round of 16, but despite great efforts she could not produce another one today. FENG Tianwei prevailed.